Have you heard about VoIP (Voice over Internet Protocol), the amazing new technology that allows you to make free phone calls using your Internet connection? If you have, you’ll know that it can save you an absolute fortune, especially if you’ve got friends and family strewn across the globe. If you haven’t, you really need to get with the program pronto, because VoIP technology allows you to make free calls to fellow users and obscenely low-cost calls to landlines and mobiles all over the world. 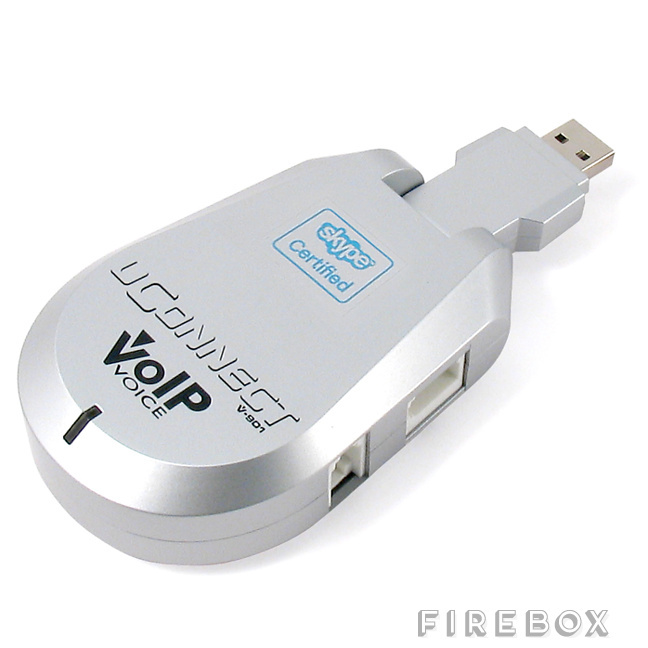 And there’s no easier way to get into the wonderful world of VoIP than via the ingenious uConnect skype phone converter. This neat little box of tricks takes the signal from your traditional home phone – be it analog, DECT or even cordless – and converts it into digital data for transmission over the Internet. Clever, eh? Simply attach your uConnect to your regular phone line and your computer’s USB port, load up the included Skype software and Bob’s your uncle! It’s completely idiot-proof and easier than, er, picking up the phone.